Which of the topics below is of most interest to you? 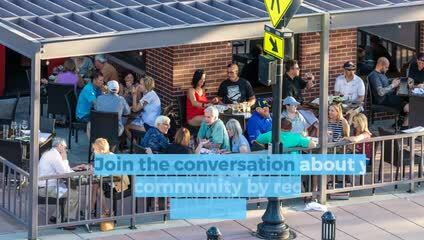 Welcome to Let's Talk Parker, a brand new tool designed to make it easy for Parker residents to get involved, participate in community decisions and provide ideas and feedback on a variety of topics affecting our community. Through this new tool, Parker will listen to your feedback, provide timely project updates, and report back to the community about how your feedback has contributed to decisions that are being made. A quick platform sign up will let you provide comments and suggestions and keep you in the loop about future updates about the projects you’re personally interested in. What is the purpose of online community engagement? Why did Parker decide to implement this site? In which situations will Parker engage the community? Does the Town have a formal Community Engagement Policy in place?